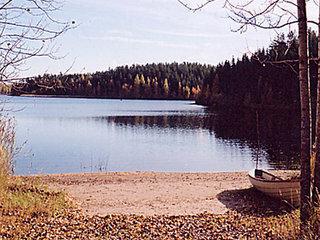 60 km south of Jyväskylä, L. Luhankajärvi 130 m (length 2 km, width 500 m), shallow, hard sanded clay bottom, own boat. 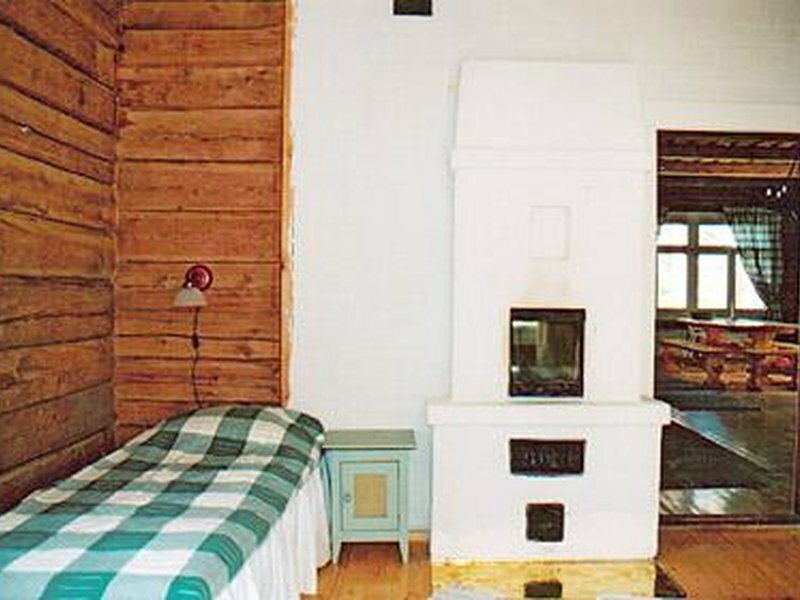 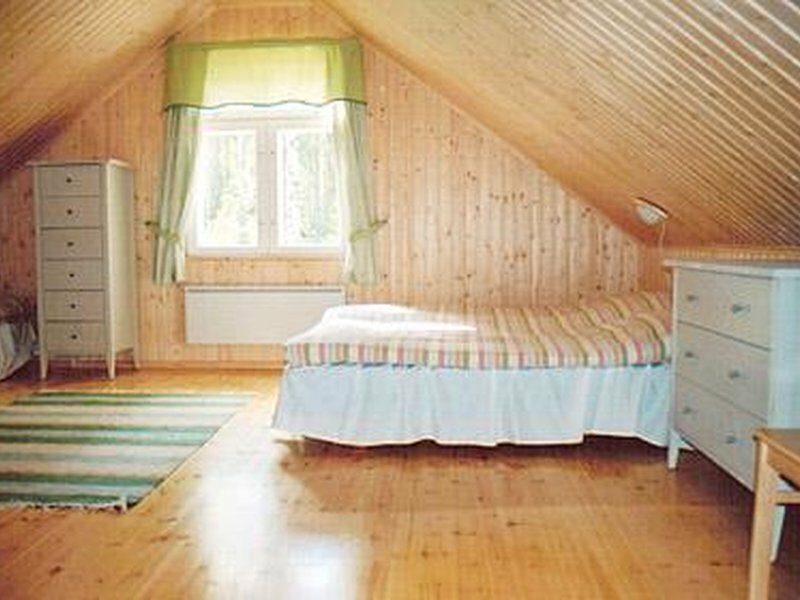 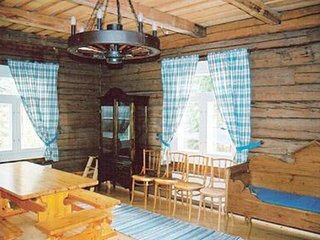 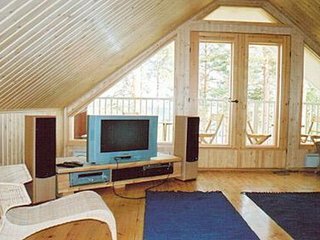 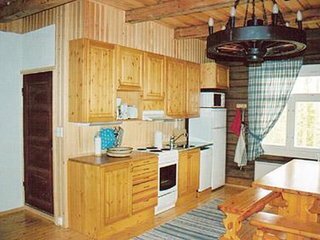 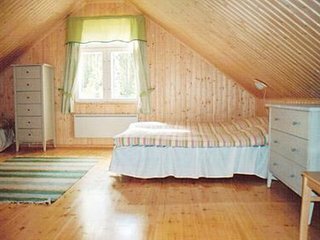 Two-storey cottage rebuilt from solid old logs 2003, living room/ kitchen, bedroom double bed + single bed, bedroom double bed + 2 single beds. 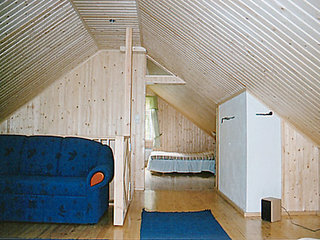 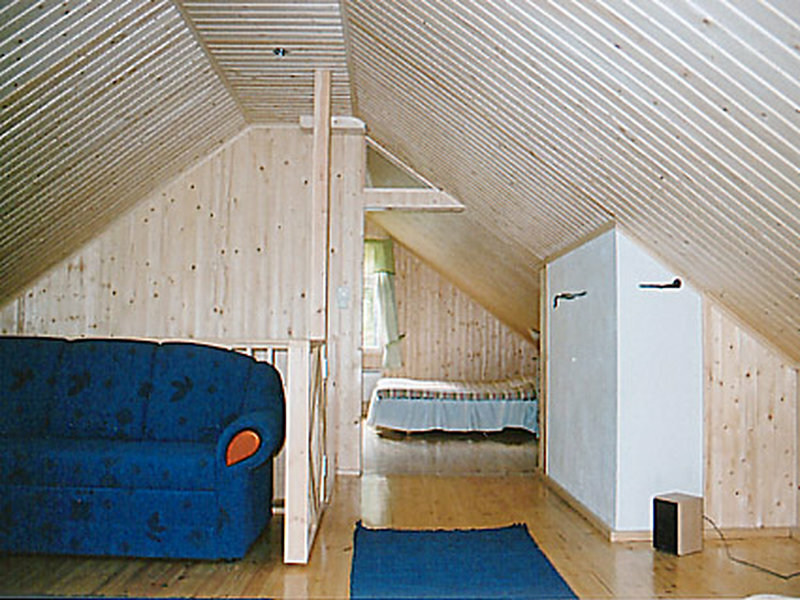 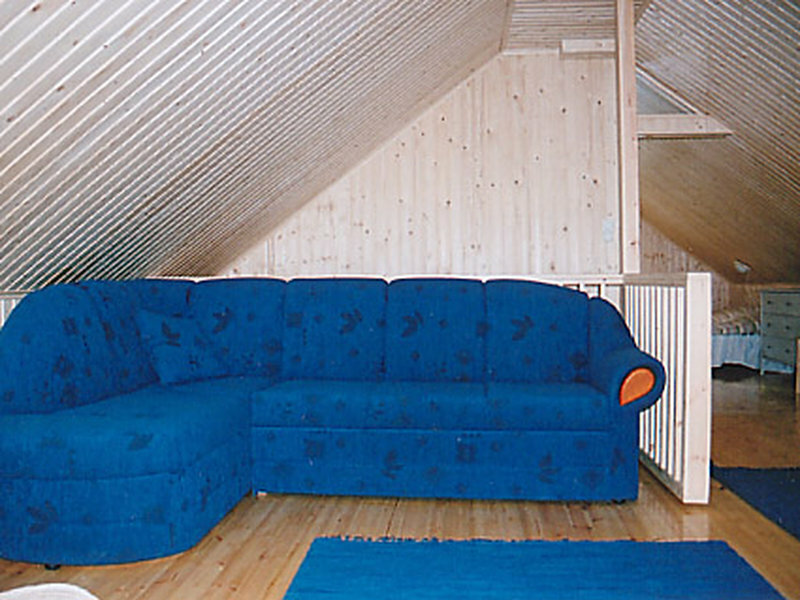 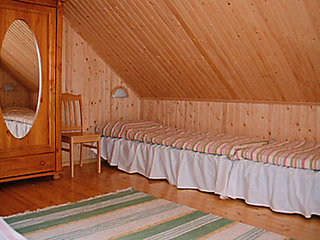 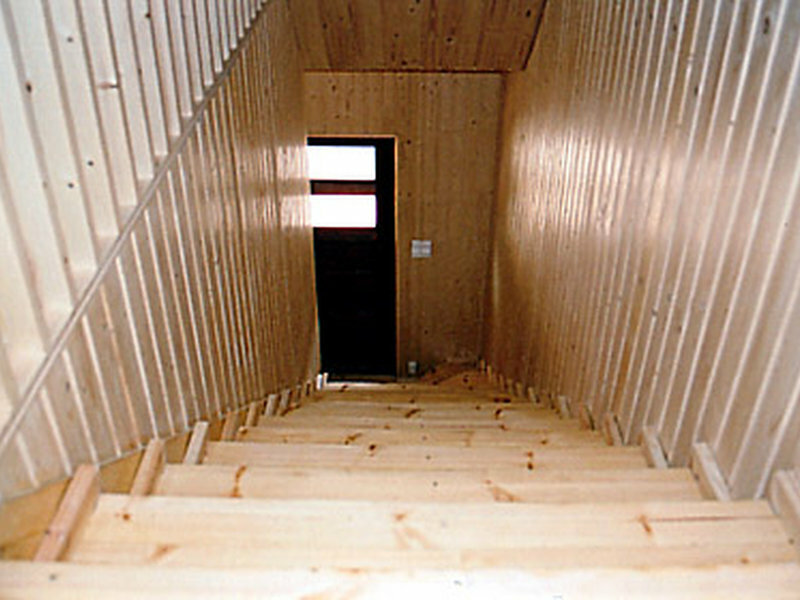 Upstairs: living room convertible sofa, bedroom double bed + 2 single beds, balcony, terrace. 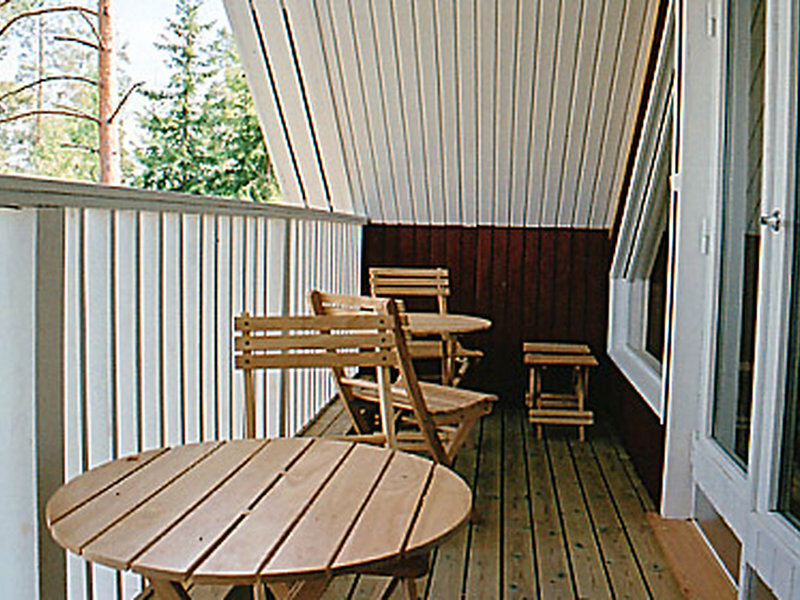 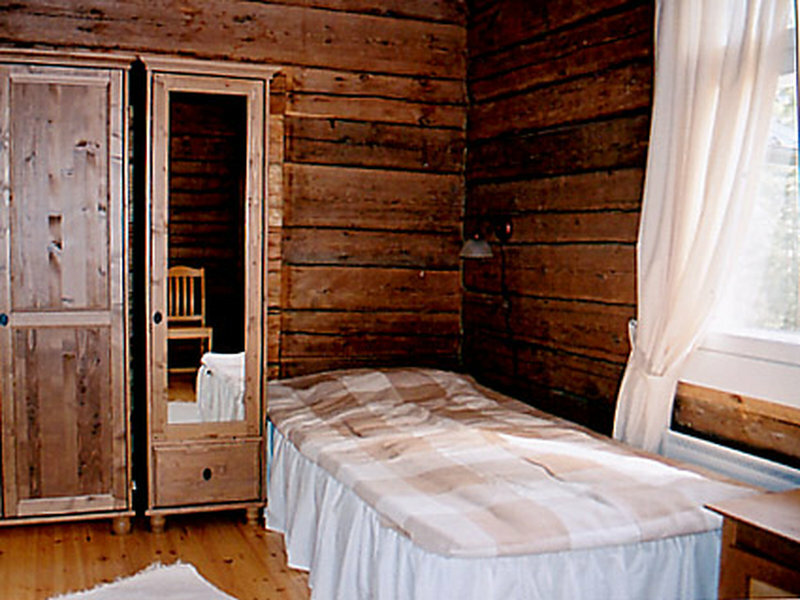 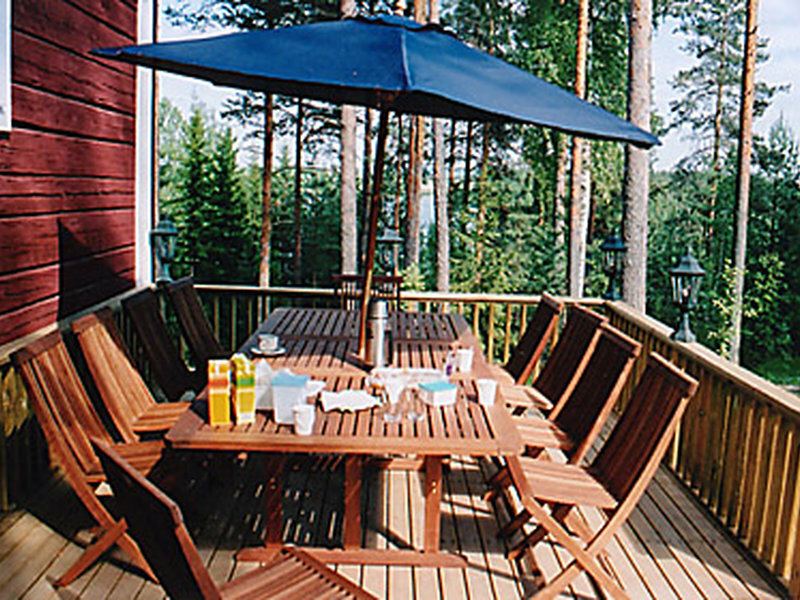 Dressing room, washroom, sauna, open porch. 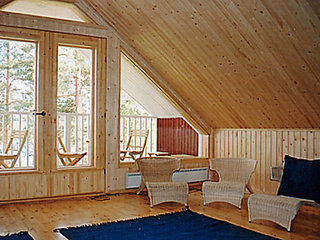 Shore and lakeshore sauna shared with the owner. Cottage has one toilet which is ecotoilet (no water). Spacious cottage with all conveniences. Yard on bedrock, good views over L. Luhankajärvi. 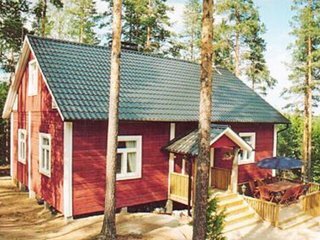 Slope to shore, Luhanka-Sysmä village road must be crossed when going to the beach / lakeshore sauna. Purnuvuori skiing resort 32 km, Himos skiing resort 60 km. Horse riding opportunities 3 km. Luhanka town 2 km.